Having trouble using Sticky Notes in Windows 7 ? 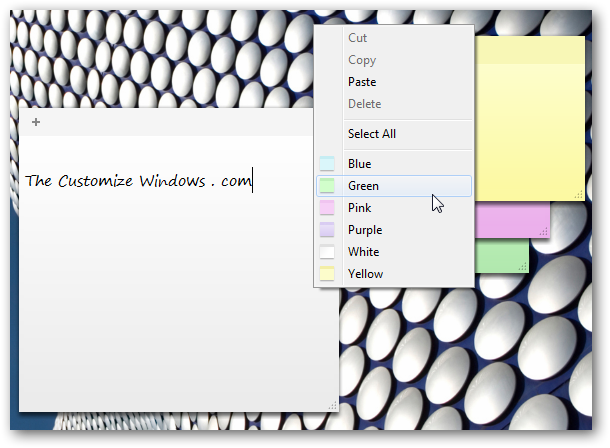 Sticky notes is a simple utility that is included in Windows 7, these notes are like the famous Post-it, stay on the screen of your desktop and you can use to target cell, task lists pending, or whatever you want, in short has become as necessary as pencils or paper clips. How to start the application? 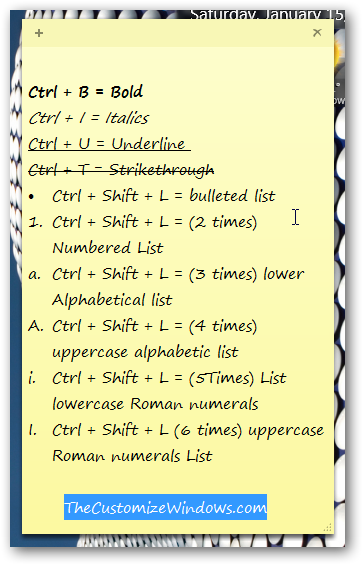 To create a new note, press CTRL + N or click the plus sign on the left top corner of any sticky note. To delete any sticky note, Press CTRL + D or click the x sign on the right top corner of any sticky note. All the features of a typical Laptop’s Touchpad, which can be used for more personalization and for ease of use, are being discussed. Notepad tutorial for Advanced usage in Microsoft Windows 7. You can add a Header,Footer or date,time following this Windows 7 Tutorial. 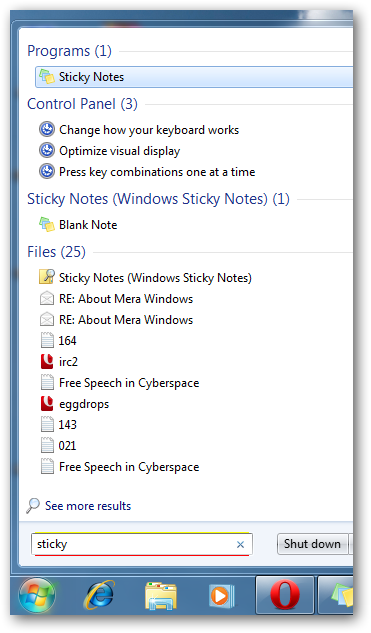 Cite this article as: Abhishek Ghosh, "Tips for using Sticky Notes in Windows 7 most effectively," in The Customize Windows, January 15, 2011, April 25, 2019, https://thecustomizewindows.com/2011/01/tips-for-using-sticky-notes-in-windows-7-most-effectively/.